Road trips are the perfect opportunity to knit. 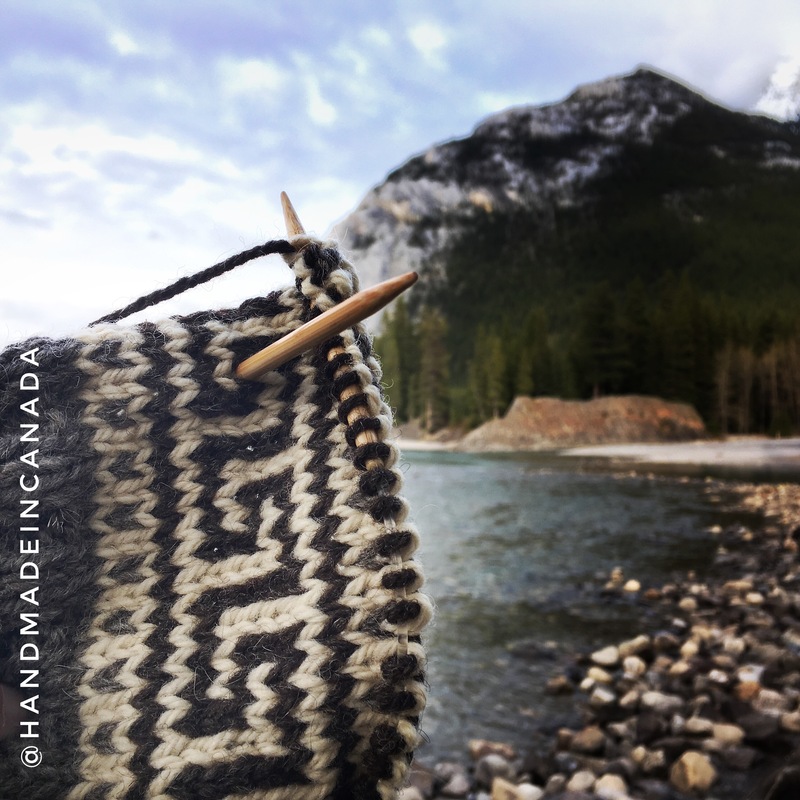 Currently I am working on a new Coffee Press Sweater while enjoying the views of Banff. This one is in the Salish theme. Classic neutral tones and patterns that are timeless.